Today I want to tell you about Piano Game Club. 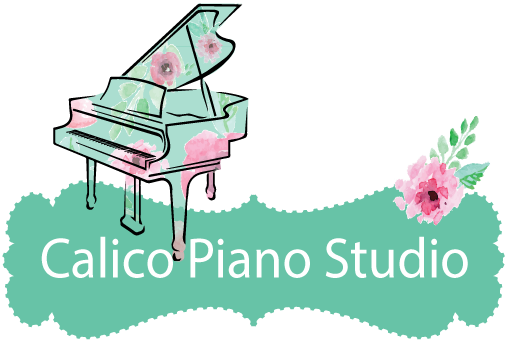 It’s a service that sends 4 professionally designed piano theory games to your email every month for only $8. I have been a member for five months, and even for my small studio, it’s totally worth it! Here are some questions I had before joining, and now that I’m a member, I know the answers. Maybe they will help you if you are still on the fence about PGC. I have students at several different levels in my studio. Will there be games I can play with all of them? While this may not always be the case, it is the pattern I’ve noticed. For my studio (beginners are our target group) that means I usually only use 2-3 of the games sent each month. Will the concepts be topics we are already talking about in the method books? I can’t answer this for every method book out there, I can say that the musical concepts seem to correlate very well with Piano Adventures method books. I’ve even been able to go through and organize games according to the topics addressed in different lessons/songs. Yes! 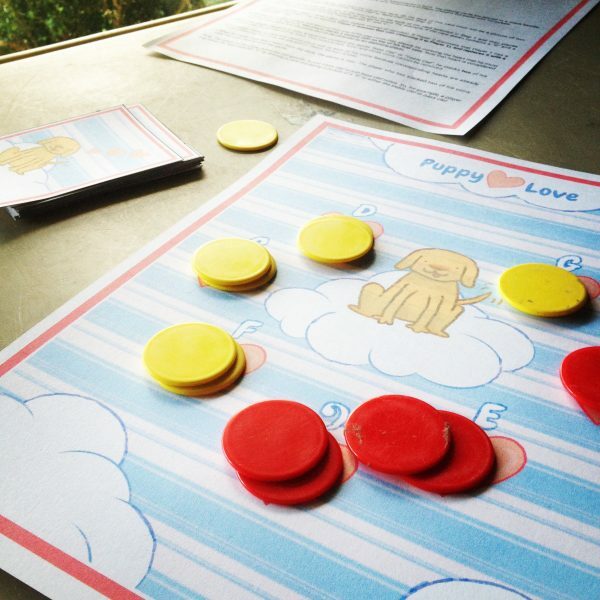 On Teach Piano Today, the parent organization of Piano Game Club, you can find several games for free that are the same layout, and preview content from other PGC games. Download this one or this one, and you can find a preview of January’s Games here. I need activities for early beginners. Does Piano Game Club have easy games? As mentioned above, there is usually one beginner game each month, but you won’t always be able to play these games with very young beginners. For example, if you have a student who has not yet learned about whole notes, some of the games require the student to be able to recognize quarter, half and whole notes. If you are needing early beginner resources you may want to look into some of the WunderKeys Resources. There are a couple games there you could play with that youngest age group until they are ready for slightly more advanced games. When I play the game with a student, will I have to ‘go easy’ on them so they can win a game? Are the games easy to learn? Yes! Most of them can be explained in just a minute or two (instructions are included). And once a student plays it, they will be able to pick the game right up the next time you play together. Do students find the games fun? Yes, most assuredly! You would be amazed by how quickly they come to expect a game at the end of every lesson. My students often walk in the door asking: “Can we play a game today?” I also have students who are very competitive and they love playing (and beating me!). The games hold their attention while reinforcing important theory concepts. How do you organize the games? I have two methods of organization one for digital, one for hard copies. Hard copies: Each game comes with its own instructions, playing cards, game board, teacher master sheets, etc. I came to realize that I would need an easy method of organization as my collection grew. So I ran to Wal-Mart and purchased a ton of paper pocket folders (similar to these) and spent an afternoon corraling and categorizing all my games. Digital: Keeping a digital copy of your games is important too! When you join Piano Game Club you are allowed to print these games for your studio, “until your printer blows up”. That means you can print as many copies as you need. And you will need extra copies! Eventually, cards start to get bent or torn or instructions get lost, so it’s important to maintain those digital copies. Here’s my method. On my Mac Laptop (OS X El Capitan) I give each file a color tag based on what level it is or what method book or level the game correlates with (it matches the cover of the method book). So that’s about it! If you have more questions, just stick ’em in the comments or send me a message. I’d love to try to answer them for you. Have fun spreading the love of music, friends! For concerns about conflict of interest, please see my Disclosure Statement. If your new to teaching or you’ve been doing it for a long time you know the first lesson is always important. You want your new student to have a great experience with out getting lost in all the introductory details. Here are 3 things I always include in my first lesson. Piano Playing – It may seem a little silly to mention, but if you are using method books, normally the first five pages or so it don’t have the student doing much on the piano. Sometimes it can be a challenge to come up with something that the brand new student can sound good on the first time they touch the keys. One of my favorite things to do is an improvisation activity. Like this one: Snow Swirls at the Piano (2nd Page) by Faber and Faber. It’s made to go along with the Piano Adventures Primer level but it’s sounds great, whether the student is little or an adult. Finger Numbers – Most books introduce this early on, but usually just talking through the finger numbers isn’t enough, especially for younger beginners. I like to at least get a piece of paper and trace the students hand and have them number their fingers. I also like these 14 creative ideas and this game. So teachers, what are your first lessons must-haves? I’d love to hear about them in the comments!